Nature's Plus Ultra Omega 3/6/9 supplies precisely calibrated ratios of unsaturated fatty acids from the highest quality fish oil and cold pressed non-GMO borage oil and flax oil available. Each easy-to-swallow softgel provides a minimum of 212 mg Alpha Linolenic Acid, 176 mg Linoleic Acid, 74 mg GLA, 120 mg EPA, 80 mg DHA and 134 mg Oleic Acid. 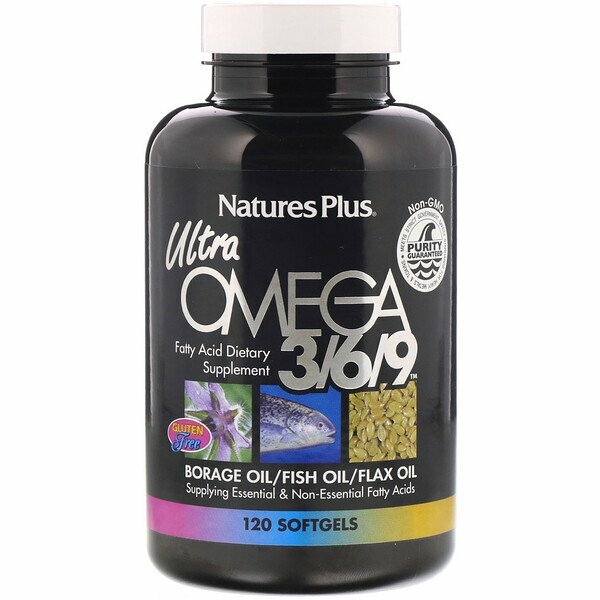 Ultra Omega 3/6/9 conforms to the strictest standards for purity, including California's Proposition 65. 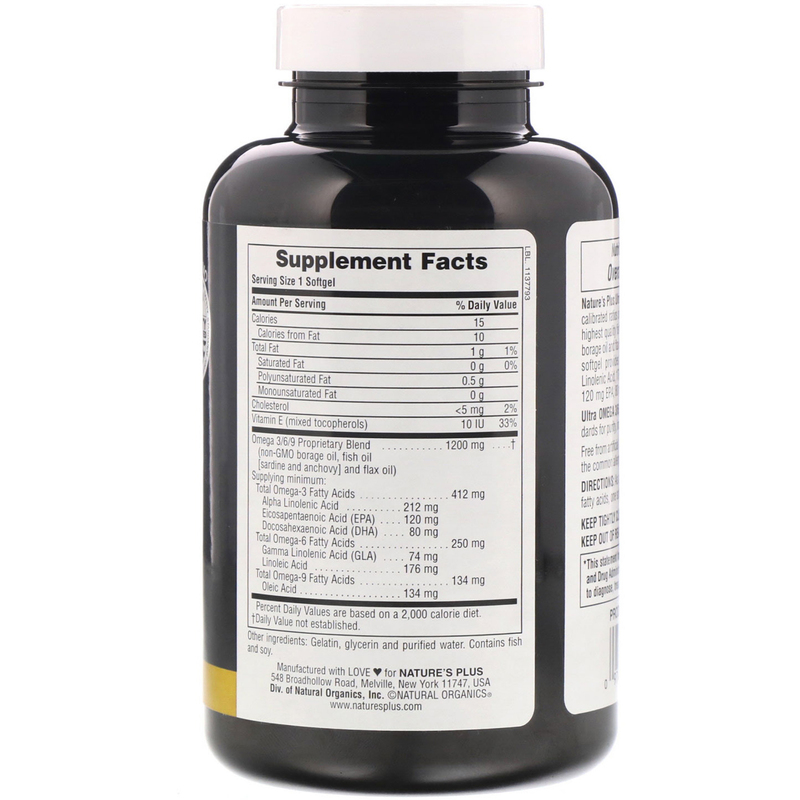 As a dietary supplement for essential fatty acids, one softgel three times daily.